Tired of Rising Electric Bills? Federal tax credits pay 30% of the installed cost. Additionally State and Utility Rebates are available in some areas. We we help you find all the current rebate programs offered for your home or business. 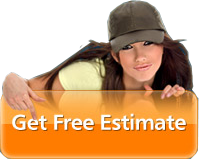 Get a FREE estimate and recieve $250 toward the purchase of any solar installation! Simply. Intelligent automation is the key to the Splash Solar Water Heater’s outstanding efficiency and self-sufficiency. The system will turn on and off daily, collecting heat whenever it is available. An automatic controller alerts the pump when to run. It also alerts the automatic check valve to open, simultaneously. The pump then circulates colder water (from the bottom of your special solar storage tank) through your solar collector(s), and return the heated water to the tank. This cycle continues as long as sun is available to provide heat to your water. When there is no heat available, the controller turns the pump off and closes the check valve to prevent any loss of heat from the tank. IS SOLAR HOT WATER A GOOD INVESTMENT? Your potential savings depend on how you currently heat your water and how many people are using hot water in your home. If you're heating water for two or more people with electric or gas, then Solar Hot Water would be a very attractive investment. First, the Fuel is free! Once you recover the initial cost of your Solar Water Heating System through utility savings, it will continue to pay dividends long after. Typically a properly sized and installed Solar Water Heater will return 14% to 18% (Non Taxable) on your money. That figure gets more attractive as electric rates continue to rise. DOES THE GOVERNMENT OFFER ANY FINANCIAL INCENTIVES? 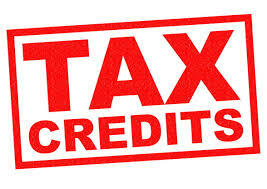 The renewable Energy Tax Credit within the Wall Street Bailout still offers a 30% Tax Credit with an 8 year extension. The previous $2000 cap on residential Solar has been lifted. Currently the State of Florida offers a $500. rebate for the installation of Solar Hot Water. Progress Energy provides a $450 up front credit for qualified homes. Additionally Progress energy provides it's customers a $450 up front credit to offset the cost of your new Solar Water Heating System. We don’t think so. The water you use still has to be heated: The amount of energy required to heat a gallon of water to a certain temperature does not change just because it is being heated at a faster rate. The tankless water heater only eliminates energy costs for maintaining the temperature of water that has been heated and is sitting in the storage tank awaiting use. So a tankless water heater is only about 15 to 20 percent less expensive to operate than a conventional electric or gas water heater. And tankless water heaters do have drawbacks. 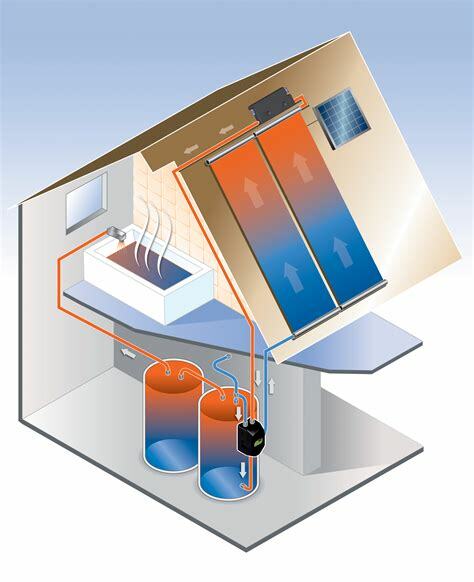 According to the U.S. Department of Energy, “Sometimes … even the largest, gas-fired model cannot supply enough hot water for simultaneous, multiple uses … taking a shower and running the dishwasher at the same time can stretch a (tankless) water heater to its limit.” Or you can install a solar water heater. Solar Hot Water systems can provide all the benefits of tankless water heaters but eliminate up to 90 percent of your water heating costs. Good question. Actually, a Solar Hot Water system will typically collect about half the solar energy of a clear, sunny day on an overcast day. If you have ever had the experience of going to the beach on an overcast day and still getting sunburn, you will understand this phenomenon. Clouds block many of the visible wavelengths of sunlight, but much of the heat energy still gets through. I’VE HEARD THAT “EVACUATED TUBE” SOLAR COLLECTORS ARE MUCH MORE EFFICIENT THAN FLAT PLATE COLLECTORS. ARE EVACUATED TUBES BETTER FOR SOLAR WATER HEATING? We do not recommend evacuated tube solar collector systems for high wind zones such as Florida. While these systems can be more efficient than flat plate solar collectors during overcast weather conditions, an evacuated tube collector system resembles a bank of flourescant light bulbs on your roof. Naturally, an evacuated tube cylinder will have minimal wind resistance, which is good. But it will have very poor impact resistance if struck by a flying object, which is bad. Modern flat plate collectors have tempered glass cover plates that can sustain direct strikes by such wind-driven objects as, for example, a piece of 2x4 lumber. Evacuated tube collectors are very popular in Europe, where their high efficiency offsets more frequent overcast weather conditions and lower average air temperatures than Florida. On the other hand, Europe does not experience hurricanes. Usually, no. Solar Hot Water systems are designed to heat and store 24 hours worth of hot water during the daylight hours, so the tank has to be large enough to store 24 hours’ worth of hot water. Most conventional electric water heaters in Florida homes have a capacity of about 52 gallons. Standard solar storage tank sizes are typically 80, 100 and 120 gallons, with 80 gallons being appropriate for most three- to four-person households. Also, solar storage tanks typically have better insulation than conventional electric water heaters, to minimize overnight heat loss. In Florida, an installed Solar Hot Water system can cost anywhere from $4000 to $7,500. Why the large range? System cost depends upon certain variables, such as the following: Size of family to be served Size and Type of solar System Type of financing Available Type of Roof on which the Collector is Installed Amount of possible rebates and incentives Building Code Requirements Professional or Do it yourself installation. When you include the cost of a solar water heater in a mortgage on a new home, the system often provides a positive monthly cash flow from the first day of ownership. The savings provided are far greater than the increase in your mortgage payment. Installing a Renewable Energy device on your home increases the home value and is perceived as energy efficient. AREN'T SOLAR HEATERS BULKY AND UNATTRACTIVE? In the 1970s, solar water heating technology was being developed and installed quite rapidly in response to that decade's energy crises. At that time, efficiency and ease of installation were the priorities, often at the expense of appearance. Many people thought that roof-mounted solar collectors were unsightly, even though they helped to reduce the amount of unsightly smoke billowing from coal-fired power plants! Today's collectors are usually mounted into the slope of the roof giving them the appearance of a skylight. WHAT ABOUT CLOUDY OR RAINY WEATHER? Our Solar Hot Water Systems have a built in back up heating element to heat your water on the few days it may be needed. Since our systems have a storage capacity of 80 to 120 Gallons, the bad weather usually has passed before all the hot water is exhausted. ARE SOLAR HEATING SYSTEMS RELIABLE? Properly designed and installed systems with glass-covered collectors should perform well for more than 20 years. Controllers, like other electronic devices, may require servicing during the life of the system, and the pump and hot water tank may have to be replaced after 10 years. Since conventional water heaters have the same expected lifetime, water tank replacement costs are not regarded as unique to solar energy systems. Normal maintenance consists of checking pipe insulation, roof penetrations and collector mounting, pump operation and tank flushing. The latter is also recommended for conventional water heating systems, as is periodic replacement of the water heater sacrificial anode rod. Splash Solar provides yearly maintenance checkups of their solar systems similar to annual air-conditioning system maintenance programs. These can be beneficial in extending the life of the system and ensuring optimum performance.